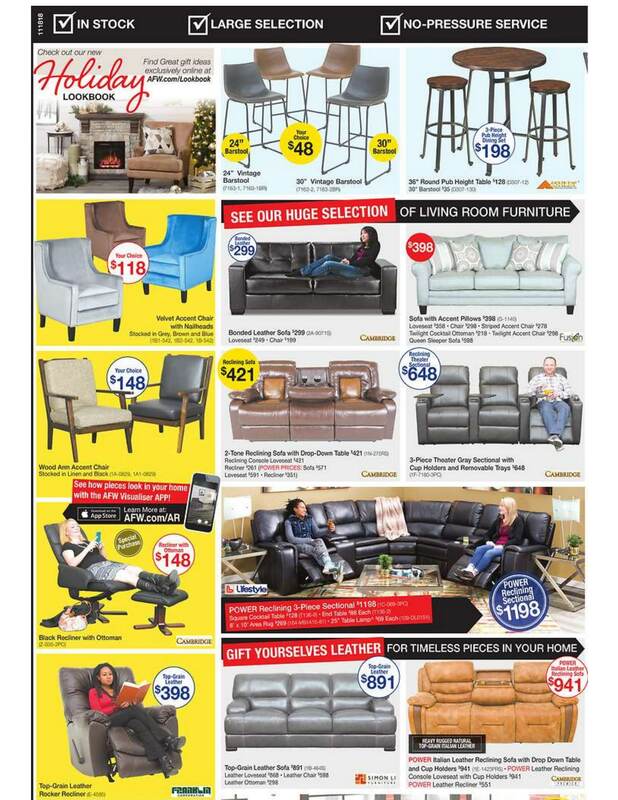 American Furniture Warehouse Black Friday 2018 Sales. 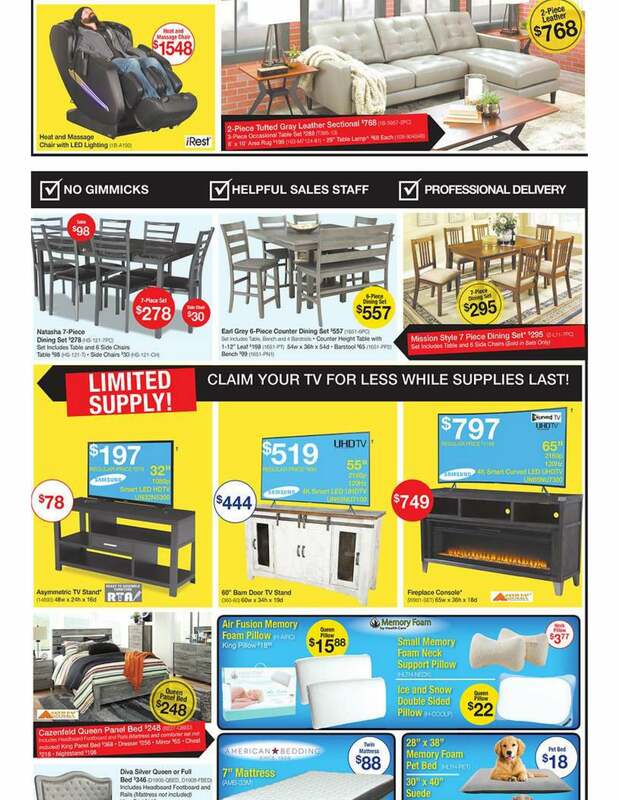 Shop door busters starting Friday, November 23 from 8AM to 10PM. Closed Thanksgiving Day. 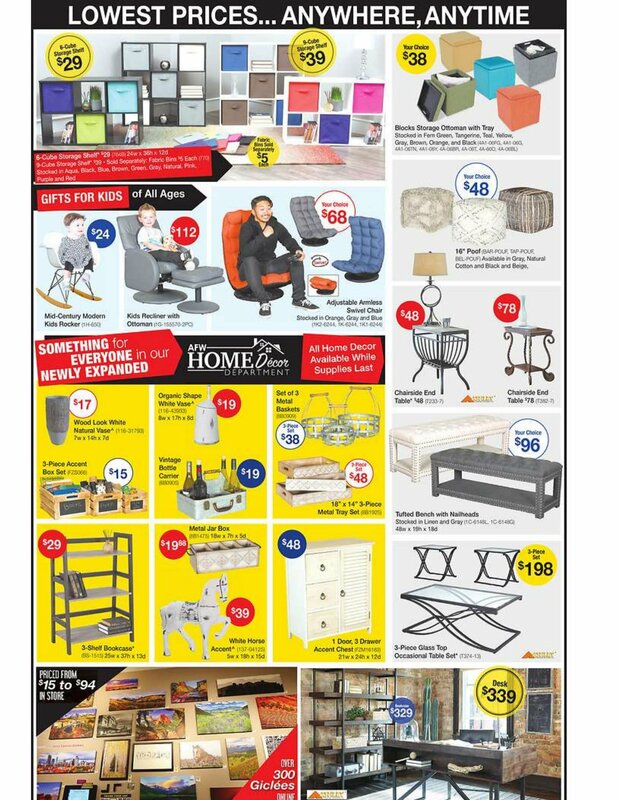 Don’t miss Black Friday offers & doorbusters on furniture & mattresses. How to save with American Furniture Warehouse Black Friday deals? Check all the deals and promotions and then go to the store or shop online. 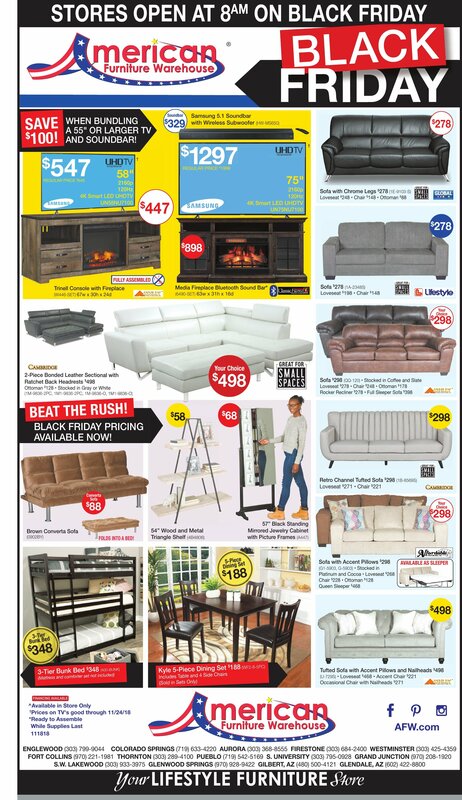 Black Friday Best deals & sales: $478 Sofa with Accent Pillows; $1288 Heavy Italian Top-Grain Leather Sofa; $179 64” Faux Marble Top Dining Table; $295 Zelen Queen Bed; $599 Newport Queen Storage Bed. Find all American Furniture Warehouse Black Friday 2018 deals, offers and doorbusters.